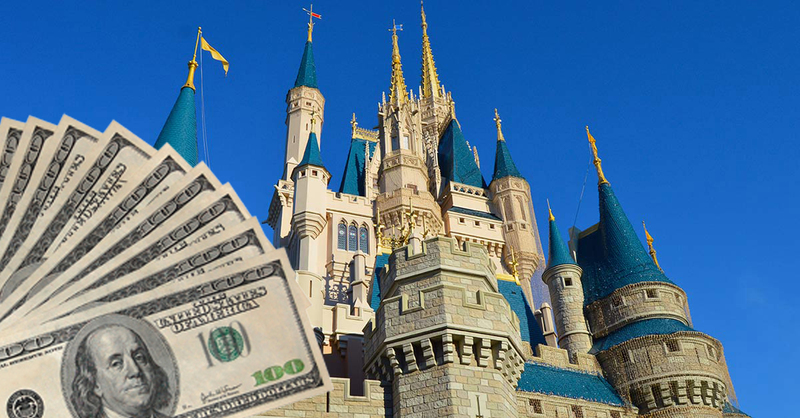 It is possible to take a Disney vacation without breaking the bank. Disney insiders know the best way to experience the parks while still sticking to a budget. These tips and tricks work to create a low-cost trip that doesn’t feel like you’re losing out on the more pricey entertainments. Traveling during the summer or holiday periods may work best for everyone’s schedules, but it can also be the most expensive time to visit. Prices for hotels change throughout the year depending on the crowd level. The best times to go are in the winter right after the holiday season in January and February and then later in the fall in September and October when the prices are the lowest. The most affordable resorts on Disney property are the Value level hotels. These include the All Star Movies, All Star Music, All Star Sports, Pop Century, and Art of Animation resorts. The basic amenities provided still feel like a treat. There are multiple pools at each resort, a food court, and fun character themes for the buildings. When booking your Disney vacation, be sure to check the Special Offers link on the main page of the websites for both Disney World and Disneyland. During select times of the year, discounts are offered such as a certain percentage off hotel stays or park tickets. Free Dining Plans are also offered. These can save you money or allow you to upgrade to a higher level hotel that would now fit into your budget. You could also consider planning and booking your next Disney trip with an Authorized Disney Vacation Planner you can trust like Mickey Travels. They’ll help you get the best Walt Disney World deal, share expert advice and their services are totally FREE! It’s genius! It’s no surprise that merchandise at the Disney parks gift shops are expensive. But did you know you can buy many of the same items in your local Disney Store for a lower price? Even the DisneyStore.com website can offer lower prices. With more Disney Parks merchandise available online and in stores, it’s easier than ever to do your shopping ahead of time. For clothing, you can find Disney shirts in many other stores besides the Disney Store at a more affordable price. If you do end up shopping in Disney, make your purchases in Downtown Disney before buying in the actual parks. There is a slight difference in price even here as souvenirs can often be a little lower, about 10% or so, than the same items in the park. This isn’t true for all souvenirs, but it does apply to a number of them. Shop here first, then hit the parks. Another great way to save money and stay on budget is by bringing your own food. This mean the nonperishable items that can be stored at room temperature. Things like cereal, bagels, granola bars, and snack items you may enjoy for breakfast or during the day can help cut on food costs. Still treat yourself to something special, but you won’t need to buy as much if you bring your own. Disney parks do allow food items so long as you’re not bringing a cooler, glass items, or alcoholic beverages. Disney offers some great Counter Service meals that reduce the cost of each meal and the time spent eating it, allowing you more time to enjoy the parks. You can choose from sides, entrees, desserts and drinks like a regular Table Service restaurant, but instead you take your food and pick out your own table. Plus, you won’t have to pay a tip since you won’t have a waiter or waitress. If you plan on doing one park per day anyway, there’s no need to pay the extra fee to get the Park Hopper passes. The standard fee does allow you to leave and re-enter the same park that day if you want to eat at a resort. Staying on budget and saving money for your next Disney vacation is absolutely possible. Just create a plan and stick to it. There are great ways to save and still have fun at Disney parks. BONUS TIP: For more money saving tips, consider planning and booking your next Disney trip with an Authorized Disney Vacation Planner you can trust like Mickey Travels. They’ll help you get the best price for your vacation, share expert advice and their services are totally FREE! It’s genius!